Over the course of April and May this year, the Windrush scandal engulfed the British government of Prime Minister Theresa May. It erupted at the same time as Britain hosted the Commonwealth Heads of Government Meeting (CHOGM), placing the prime minister and her government in a politically embarrassing position. There are a number of relevant issues to sort out here. Firstly, what is the Windrush political scandal? Secondly, we will examine the impact of anti-immigrant racism in Britain, particularly in light of the fact that April 2018 was the fiftieth anniversary of the racist ‘rivers of blood’ speech by Tory MP Enoch Powell. Thirdly, we shall examine how the racism of the Windrush affair has its origins in British imperial practices. 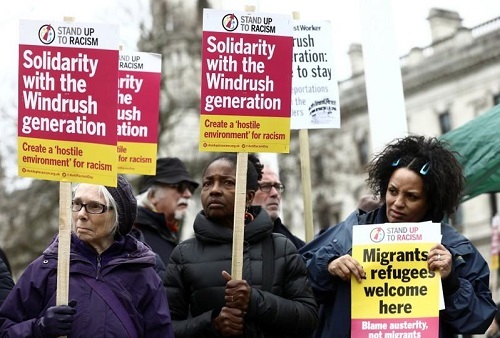 The Windrush scandal refers to the racist the British government’s racist targeting of Afro-Caribbean migrants from the Commonwealth countries. At the end of World War Two, Britain faced a serious labour shortage. To make up for this shortfall, Britain invited migrants from its colonies in the Caribbean, such as Barbados, Jamaica, and Trinidad and Tobago. While these countries were still British dependencies, citizens of those nations did not require British nationality documents. In 1948, the first boatload of approximately 500 Afro-Caribbean migrants arrived in England. The ship, the Empire Windrush, gave its name to the generation of migrants who arrived in the subsequent decades. Windrush migrants settled into the British society, worked, paid taxes, started families – and their children, came of age in the UK and have known nothing else except being British. For instance, Renford McIntyre arrived in the UK from Jamaica in 1968. He has lived and worked in the UK for 50 years. He traveled to the UK to join his parents, both of whom worked in England. He was 14 years old. 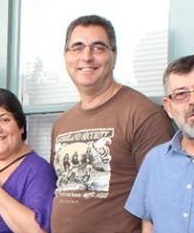 He worked various jobs, as a tool setter, delivery man, and a driver for the National Health Service (NHS). The British government, since the 1970s, has been clamping down on the ability of Commonwealth citizens to migrate to the UK. In 2012, current Prime Minister and the-then Home Secretary Theresa May, implemented a policy of creating a hostile environment (her words) for those deemed to be illegal, or lacking sufficient documentation to prove their British citizenship. The Windrush generation fell into this category. As a result of the targeting of so-called illegal immigrants, McIntyre lost his job, is now homeless and is denied any kind of government support. Michael Braithwaite, who arrived in Britain from Barbados in 1961, and has worked for years as a special needs teacher, is now facing deportation. He has lost his livelihood and cannot access the health services of the NHS. The Windrush scandal exposes the institutional racism at the heart of the UK’s immigration policy. Commonwealth nations, such as Barbados, Trinidad and Jamaica are theoretically equal to Britain. In actuality, they have historically provided reserves of labour and resources to be exploited by British transnational corporations. Initially, Prime Minister May tried to shrug off the crisis – she tried blaming bureaucratic incompetence and glitches in the immigration system. It was revealed by former Home Office employees that they were ordered to destroy the landing card slips that documented the disembarkation dates of the Windrush migrants in the UK. Amber Rudd, the previous Home Secretary, resigned in the wake of the protests and outcry over this scandal. Gary Younge, writing in The Guardian newspaper, states that the hounding of Afro-Caribbeans from the Commonwealth is a purposeful strategy adopted by the UK authorities. Persecuting migrants from former British colonies, invited by the British government to fill a labour shortage, reeks of hypocrisy. Forcing the Windrush migrants into a precarious position is not a glitch in the system, but a deliberate product of it. In April this year, Australia hosted the Commonwealth Games, involving competitors from all the Commonwealth nations. No less a figure than His August Britannic Majesty, Prince Charles, officially opened the Games. He opined that these Friendly Games connect people of different nationalities and backgrounds, bringing them together in a spirit of robust yet amicable competition. The Australian corporate media reported on the Commonwealth Games obviously. It also reported on the CHOGM meeting. It showed that British Prime Minister Theresa May addressed the gathered leaders from the Commonwealth nations, and she thanked the graciousness of the host, Queen Elizabeth, for allowing the CHOGM meeting to proceed on the grounds of her palaces. There was no mention at all of the Windrush scandal. The CHOGM summit was overshadowed by the evolving and ever-expanding Windrush scandal. It is instructive to examine this political issue because the mistreatment of Afro-Caribbean migrants, invited as workers by the UK government, demonstrates that black people have never been fully accepted as equals by British institutions until today. The Windrush generation demonstrates that Britain has long had a problem with accepting black immigrants as equals in the wider society. Britain has not achieved a post-racial status, whatever the proponents of liberal democracy may care to think. It is important to note this because, April this year, saw the 50th anniversary of the ‘rivers of blood’ speech by the racist Tory MP Enoch Powell. His anti-immigration speech was broadcast in full by BBC radio in April this year to commemorate its importance. Powell’s immediate audience was a conservative club meeting, but his intended audience was much wider. Framing the issue of immigration, in particular black immigration, as an alarming security threat, resonated among the British public and both the major political parties. Powell himself was dismissed from his post in the Shadow Cabinet. However, Powellism, as a strong tendency of anti-immigrant populism, has remained alive and well in British politics. The Windrush scandal, by targeting Afro-Caribbean migrants, is the direct implementation of Powellite racism. Indeed, Tory Euro-scepticism, such as was seen during the Brexit vote, is also a product of the Tory-Powellite strand of British racism. The anti-European Union vote was expressed as a generalised rebuff to all immigration. Powellism, in the years since the speech, has achieved a kind of rehabilitation in the mainstream political parties. While the immediate origins of this crisis can be traced back to 2012 with the May government’s decision to coerce Afro-Caribbean migrants into self-deportation, the underlying racism of the British state goes back much further. Nick Dearden, writing in Al Jazeera, states that Whitehall’s imperialistic policies treat black Britons as temporary labourers to be discarded once their utility has expired. This scandal perfectly sums up the aspirations of so-called “global Britain”: to live off of the resources and labour of others, to oversee illegally earned capital flowing into the City of London from across the developing world and to firmly shut the door on anyone who deems him/herself worthy of living in this great land. Including a mixed-race person in the royal family is all well and good, but this is merely placing window-dressing on the underlying and fundamentally racist nature of the British state. With all due respect to the super-achieving Meghan Markle, putting a black person in and among the aristocratic class will do nothing to improve the conditions of the black immigrant community in the UK. In an era where young black men are disproportionately represented in the prison system, surely it is clear that the violence of Britain’s colonial past hangs over the present. All of us need to confront this wilful forgetting around British history and tell the truth: Britain was built on the back of black slaves; they toiled and died over the centuries to enrich Britain.